Planting milkweed will help struggling Monarch butterfly populations by providing critical food for the caterpillars. DARKE COUNTY – Darke County Parks’ annual native plant sale returns to Shawnee Prairie Preserve on May 11. Pre-sale forms are available on the website at http://www.darkecountyparks.org/news. Forms can be mailed to Darke County Parks at 4267 State Route 502, Greenville. Favorite flowers of the Monarch butterfly and other pollinators are the focus this year. 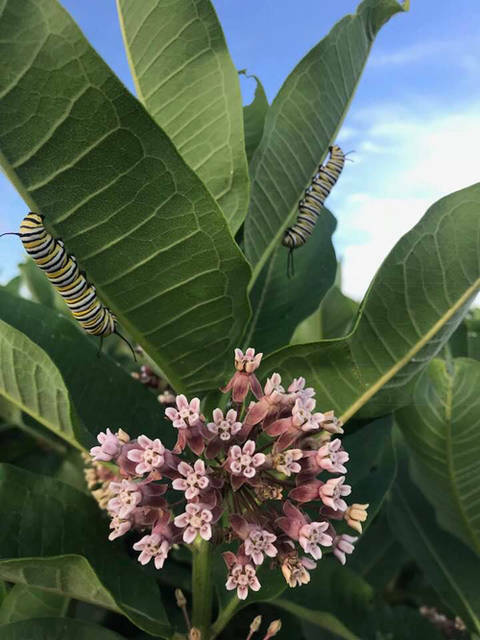 Community members are asked to consider planting milkweed to help provide habitat for the struggling Monarch population. Pre-sale forms and payment must be turned in by April 30. Pre-orders may be picked up during the sale. Any plants not picked up by May 13 will be considered a donation to the Park District and will be planted within its prairies. In the event the minimum of any plant is not met, Darke County Parks will try to replace it with a similar species to the best of its ability. For more information, contact Mandy at Darke County Parks at 937-548-0165.